Weeds are wonderful! Persistent, exuberant…these plants have personalities, and this nonfiction picture book puts them on colorful display! 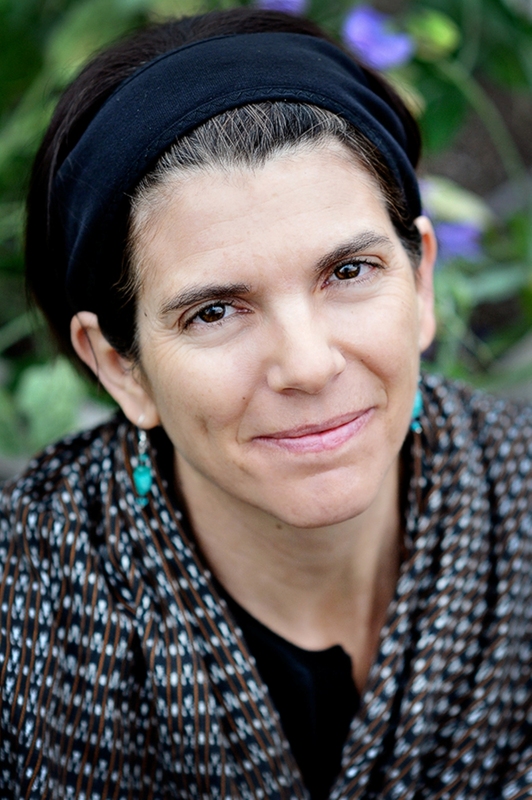 Carolyn Fisher is the author and illustrator of The Snow Show, as well as the illustrator of Goodnight, World by Willa Perlman and Weeds Find a Way by Cindy Jenson-Elliot. She teaches illustration at the Alberta College of Art and Design, and she regularly tours the country talking to people about art and book. She lives with her husband and their son in Calgary, Canada. Visit her online at CarolynFisher.com. ""Good or bad, weeds offer endless opportunities to study one of nature's most wonderful tools: adaptation," writes Jenson-Elliott.... The many intriguing details will leave readers with the understanding that these plants are fighters." "Instead of lamenting their pesky invasiveness, Jenson-Elliott celebrates weeds for their heartiness and ability to disseminate and adapt...the bold colors of the mixed media/digital collage illustrations do an admirable job of making the ordinary become stunning. More detailed information about how weeds can actually be useful despite their reputation can be found in the back matter, along with a list both identifying and offering further facts about the plants pictured in the book.... Expect to have readers rooting and exploring for the ubiquitous plants." 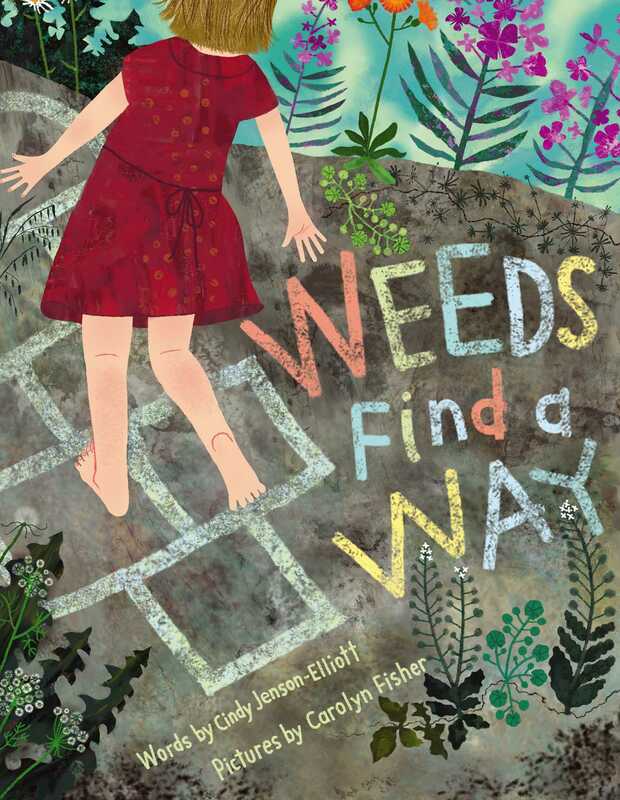 "With a text that celebrates their perseverance, endnotes that describe their uses and illustrations that commemorate their beauty, this book invites young readers to re-examine their view of weeds. . . . Elegant language and incidental rhymes make these pages as fun to read aloud as they are to pore over. . . . This fact-filled picture book that reads like poetry may well cause young readers to rethink the idea of unwanted guests in the garden." "The language is lovely here, as seeds shoot, swirl, and poke, finding "a way to live where other plants can't grow." A little girl and her dog anchor the picture book, moving through beautiful natural landscapes…. An eye-opening look at what folks generally consider to be a nuisance." "This book shares information about weeds which the reader will find fascinating. The word “weeds” usually conjures up plants that are unwanted; Jenson-Elliot presents weeds in a different light. . . . The full-page illustrations are beautiful, using earth colors. . . . This book would be a wonderful read-aloud."